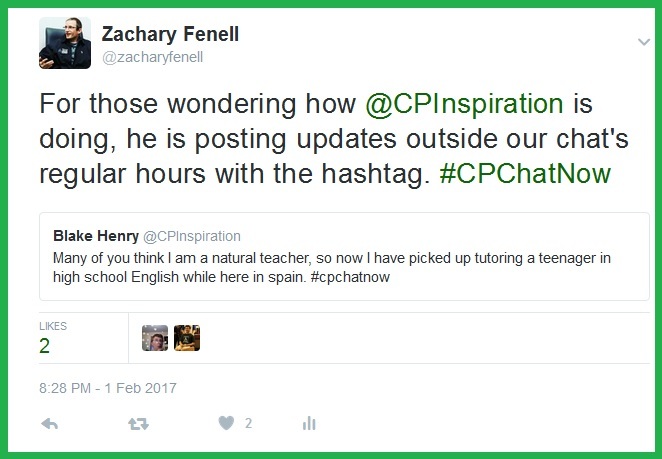 Various topics arose Wednesday, February 1st, 2017 during our weekly cerebral palsy Twitter chat #CPChatNow. 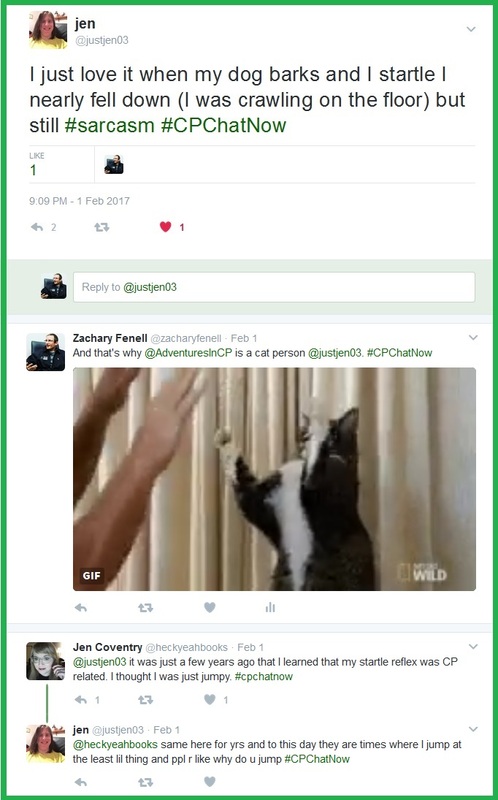 I am co-host Zachary Fenell, ready to summarize everything up into a neat, easy to read recap. Hopefully you enjoyed last week’s recap, compiled by interim co-host Devin Axtman. Devin continues to fill in admirably for co-host Blake Henry while Blake studies abroad. 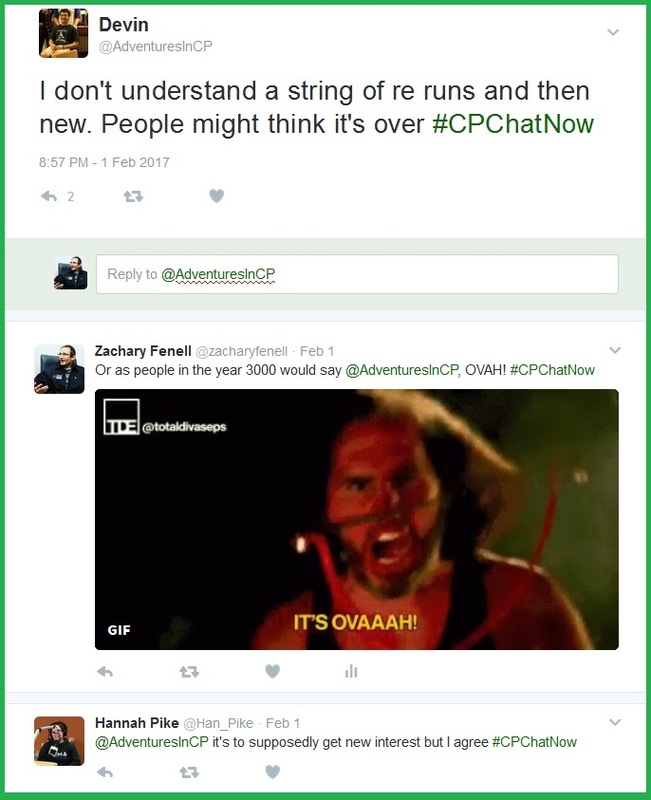 Tweets from Blake with the hashtag CPChatNow indicates our community remains on his mind. Although due to the time difference, said tweets come outside chat hours. 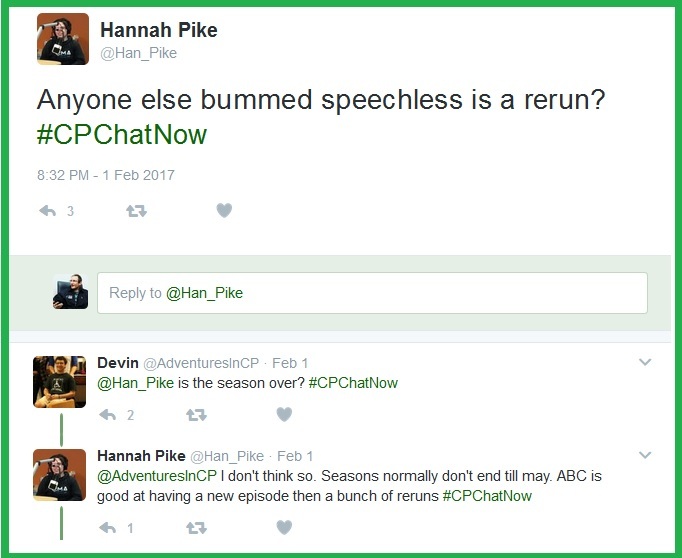 So I thought to begin our February 1st chat by retweeting Blake’s latest update. 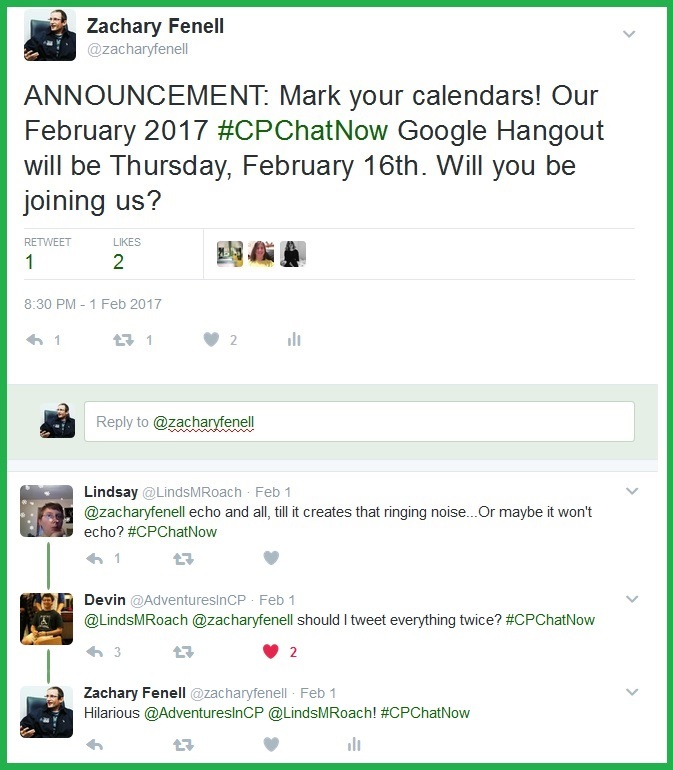 Early on in the chat I also announced the date for our February Google Hangout. This led to some jokes. To fully appreciate the echoing humor, you needed to attend our January Google Hangout. Make sure you find your place on the Hangout invite list. Send a DM to Devin and/or me to request receiving the Hangout link Thursday, February 16th. Usually around 8:30pm ET participants multi-task, contributing to our conversation and watching Speechless. ABC airing a Speechless rerun caused disappointment. My interim co-host Devin questioned the broadcasting strategy where you air reruns in consecutive weeks. Community regular Hannah pointed out such a strategy seeks to garner a show new viewers. Still, she agreed with Devin. Meanwhile participant Jen Coventry, after a long day, arrived late to the chat. A fall on ice landed her in the ER. The situation left me referencing a comment I made two weeks ago. I joked we should all move to Tucson, Arizona and establish a snow-free society. Injuries soon became the dialogue’s concentration. Time to keep the conversation going. 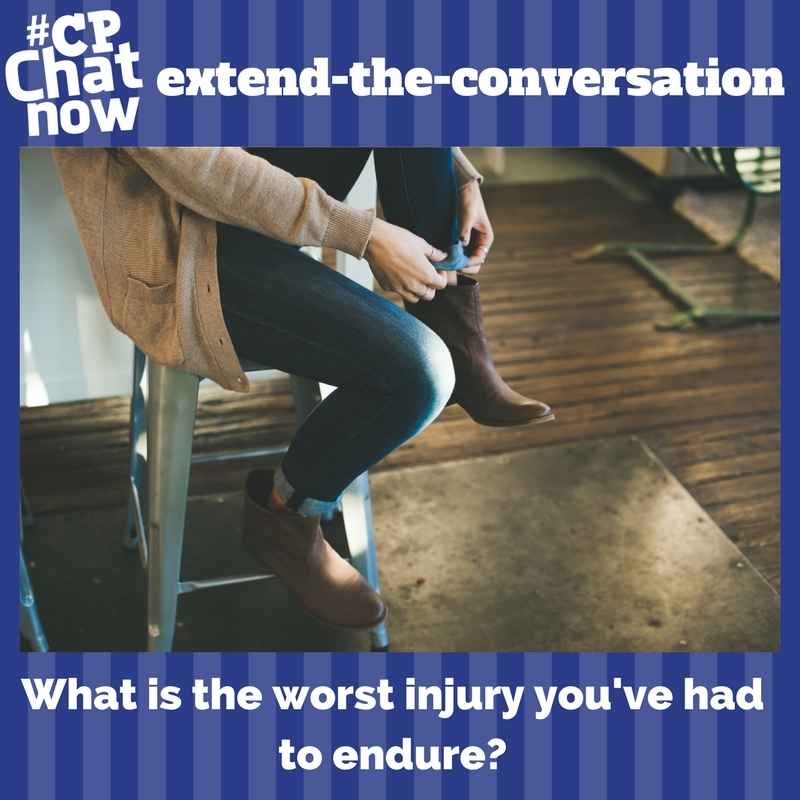 Answer for the week’s extend-the-conversation question “What is the worst injury you’ve had to endure?” Respond in the “Comments” section. 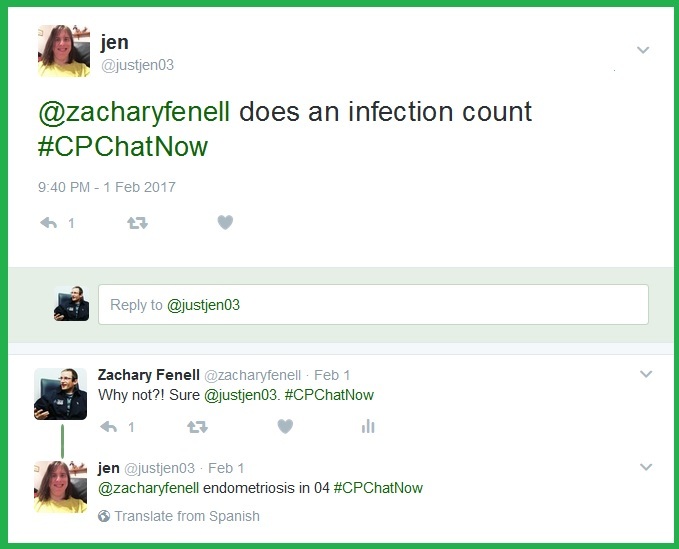 Another noteworthy topic that emerged during the February 1st chat involved startle reflex. 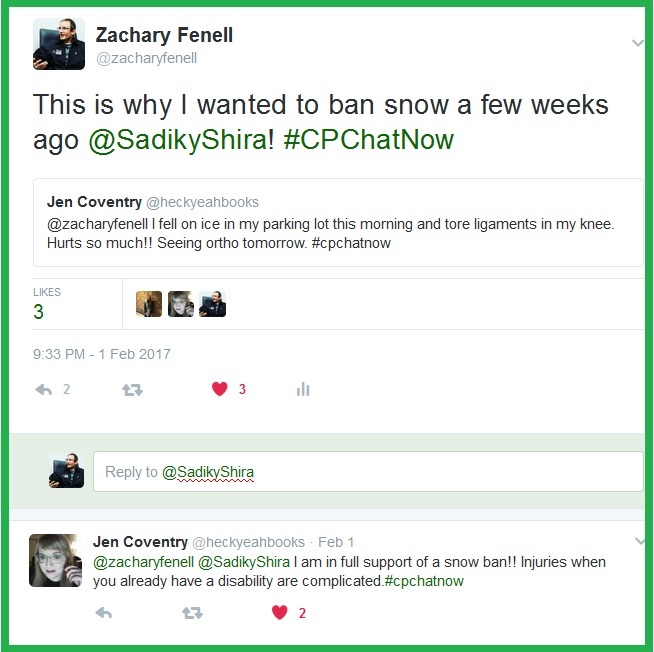 Both Jens’ comments illustrates how knowing others with cerebral palsy aids in better understanding your own cerebral palsy. 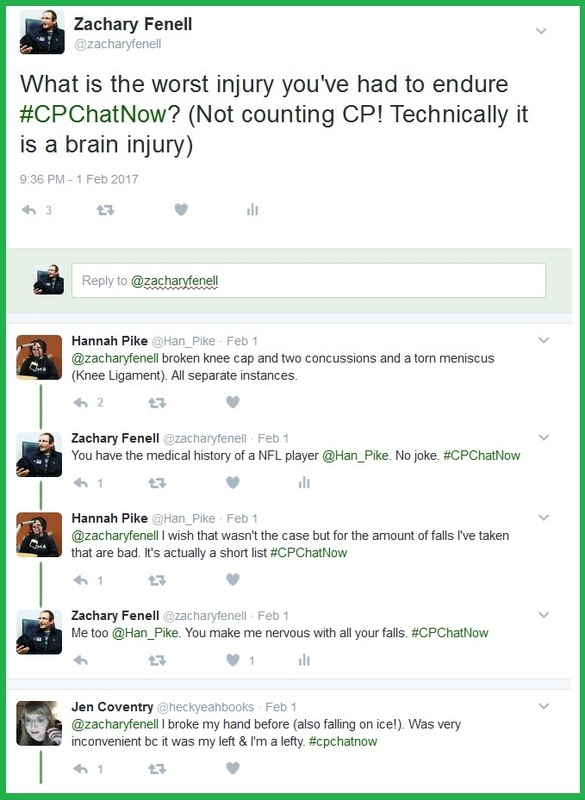 Perhaps you will learn something regarding your cerebral palsy tonight. Join us on Twitter starting at 8pm ET. First though, remember to answer the extend-the-conversation question. This entry was posted in Weekly Recaps and tagged speechless, startle reflex. Bookmark the permalink.